Results of the grading which took place on 14th December are below. Well done to everyone for passing the grade. Nice to see so many B grades coming through especially from the 4 yellow belts, (now green tags!) who have been very consistent in their training. Congratulations to Amy and Jordan from Ms Bergin's club who put in great performances to reach B levels. Our next colour belt grading will take place on Thursday 09 March. Make sure to use our 'Downloads' section to gather the relevant information and terminology for your grade. Also check out the 'patterns' section to help you practice correctly. There will be no junior class on Monday 19th December as we will be doing a small grading. This is only for students who we have discussed it with, so if you aren't aware of it, it doesn't apply to you. Dont worry, there will be a grading early 2017. Congratulations to all who successfully passed their colour belt gradings which took place on Thursday 21 July 2016. 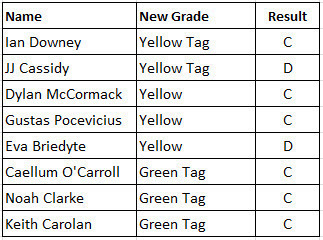 Results of this week's colour belt grading below. Congratulation to everyone who passed. 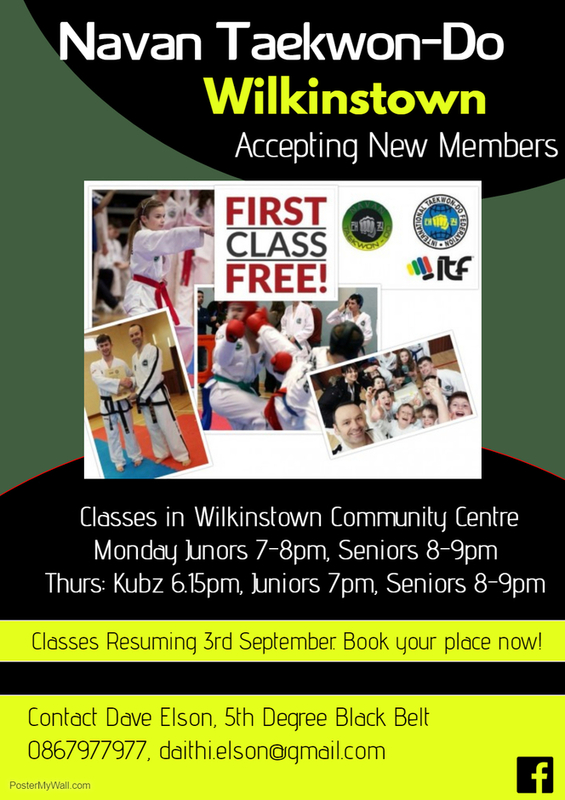 Navan Taekwon-do hosted a grading for colour belts from blue tag upwards last Thursday evening. Congratulations to everyone. Special mention for Naoise Myler who put on an excellent performance. NavanTKD held a colour belt grading on 30 April 2015 for juniors up to yellow belt. Congratulations to everyone who passed. Grading certificates will be given out at next Thursday's class.